The red Carlisle 4353205 Dallas Ware® fruit bowl adds a burst of color to tabletops. With its 3.1-ounce capacity, salsa, fruit, and other sides can fit comfortably into this crack-resistant melamine dish. Insulation prevents cold and heat from leaving product, while the reinforced rim and foot strengthen the bowl and enable it to stack with other units. "I received these bowl 5 days from the time I placed the order online. This company has always been good to me. These bowls are great for serving..."
Would buy from this company again !!!!!! "I received these bowl 5 days from the time I placed the order online. This company has always been good to me. 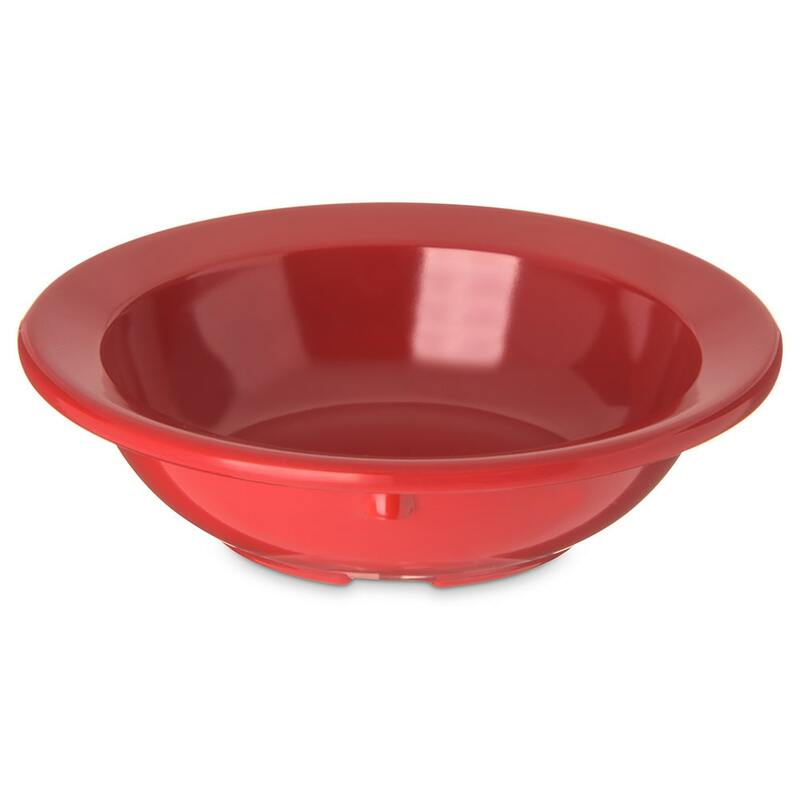 These bowls are great for serving just the right amount of sauces at our restaurant.The red color is bright and brings a splash of color to the table.Thanks so much."